Of the many characters to have graced Arrow of the course of its six seasons, few have been more popular with viewers than that of Roy Harper. 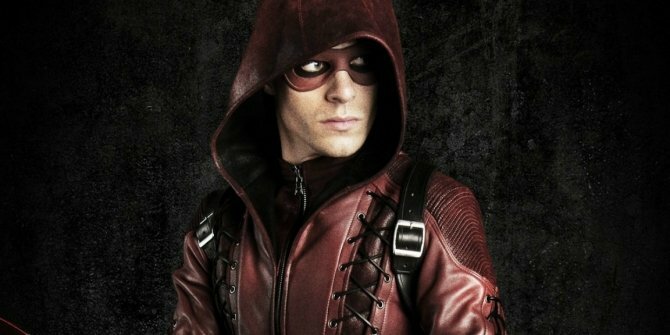 Having started out as a kid on the wrong side of the tracks, this young lad played by Colton Haynes eventually blossomed into the hero known as Arsenal, who can still lay claim to wearing one of the most badass costumes the series has ever produced. So, if you’re a devoted fan, then you’re probably aware of how Haynes departed as a regular near the end of season 3, much to the lament of many. In the time since, though, he’s made a few guest appearances, most notably those which were witnessed in recent months. Now, it seems that Haynes has caught the fever yet again, saying “I could not be happier to return to my role as Roy Harper alongside my Arrow family,” as he’s been confirmed to be returning as part of the principal cast for season 7! And while it’ll be months before we know what’ll motivate Roy to return to Star City on a more permanent basis, it’s hard to shake the feeling that it’ll have something to do with the recently introduced Thanatos Guild. Having appeared a couple weeks back, the plot thread involving them just seems like something that’ll be revisited next fall, but that also makes us wonder how Thea Queen will or will not factor into said plans now that Willa Holland is out as a series regular. She could do a guest shot here and there herself, sure, but this is a situation the writers really need to figure out. Additionally, we need to take into account Stephen Amell’s recent comments saying that a major shift in status quo is on the horizon, so perhaps that’ll play into how Roy will be reintroduced. After all, Team Arrow is all but disintegrated, so a reunion of this show’s dynamic duo would be a way to take it back to basics, yet also give Oliver somebody to talk to and fight alongside.